We are proud to announce that our lovely family pet April has had an outstanding litter of 5 bulldog puppies, ALL BOYS! Pups are all HUU clear, fabulous pedigree with ch sealavile he's Ashley, ch sealavile his the duke, ch merriveen make my day, ch iceglint I'm Alfred to name but a few...amazing champion bloodlines. Mother can be seen at viewings. All puppies have been raised in my family home, surrounded by other dogs and children. Pups can now be viewed. Puppies will come with KC papers, 5 weeks insurance, flead and wormed to date, first set of injections, microchipping, health check and a puppy pack. Puppies will be ready to leave on 15th June. 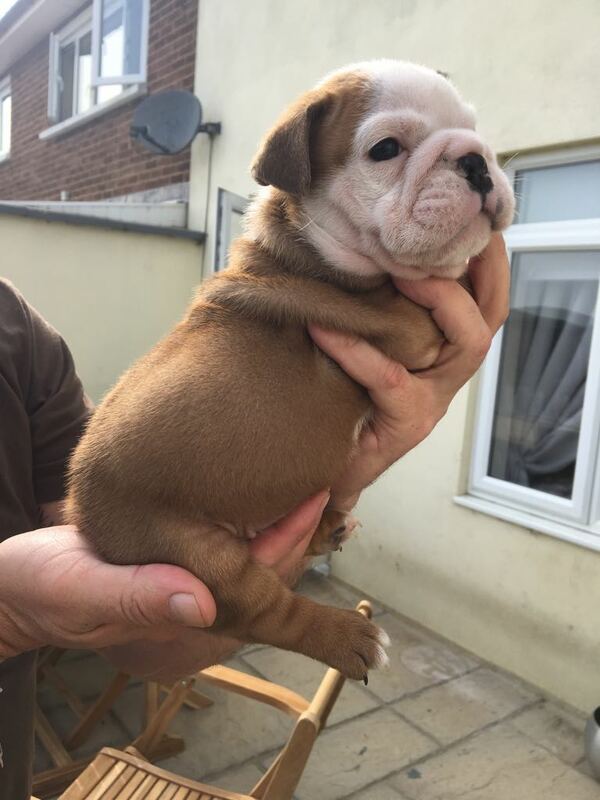 A NON REFUNDABLE deposit of £500 will secure the puppy of your choice on a first come first serve basis. Please feel free to get in contact if you have any questions.